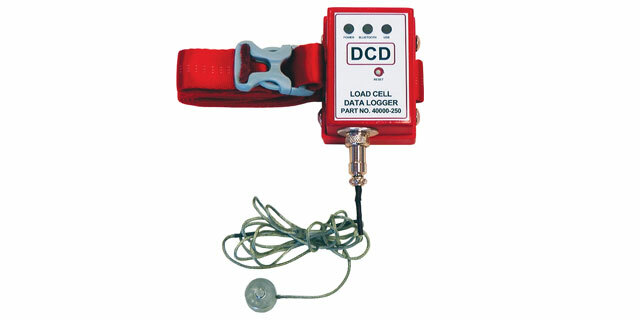 The Load Cell is a self-contained package that will accurately determine pulling load within 10%. 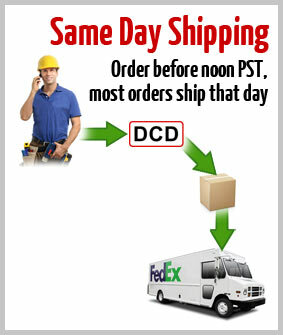 It features a USB and Bluetooth connection that will work with a Windows or Android App for use with a tablet or phone. 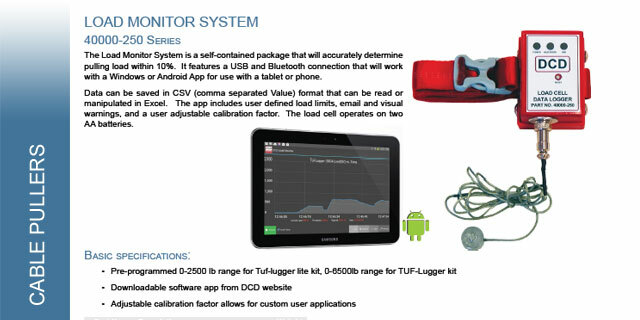 The app includes user defined load limits, email and visual warnings, and a user adjustable calibration factor. 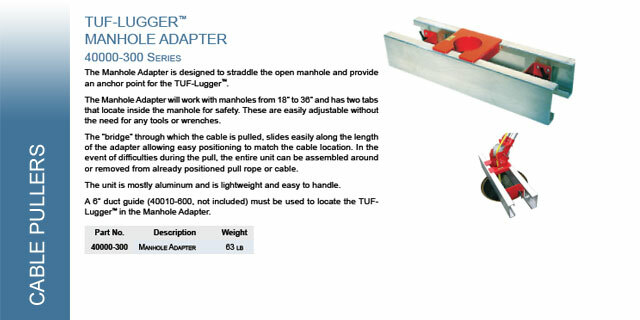 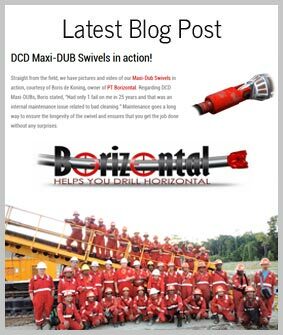 The Manhole Adapter is designed to straddle the open manhole and provide an anchor point for the TUF-Lugger™. 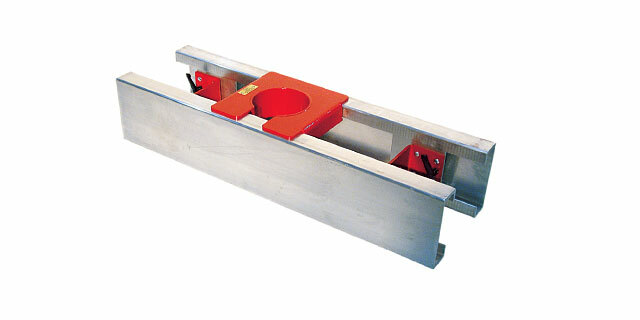 The Manhole Adapter will work with manholes from 18" to 36" and has two tabs that locate inside the manhole for safety. 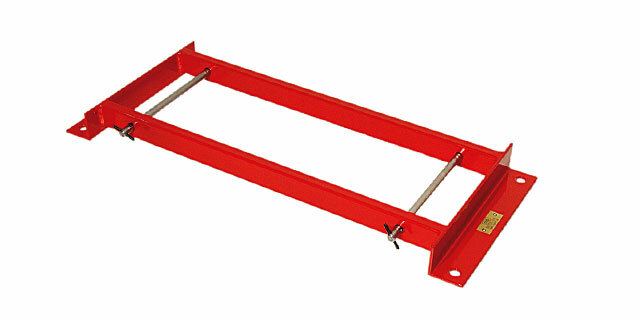 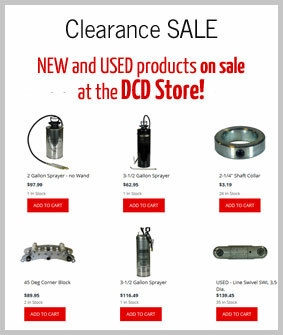 These are easily adjustable without the need for any tools or wrenches. 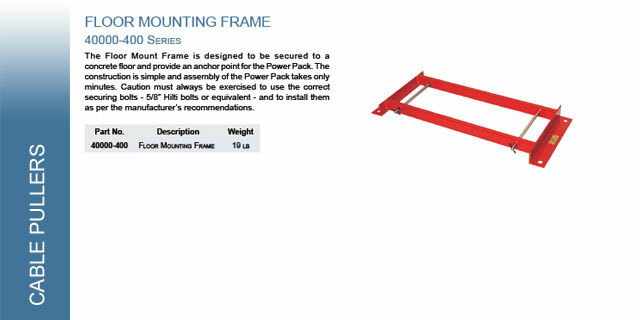 The Universal Extension frame is designed to get to those really hard to reach corners and still be able to locate the duct guide squarely into the ducting. 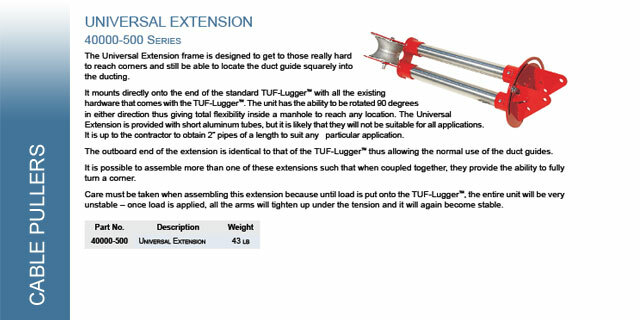 It mounts directly onto the end of the standard TUF-Lugger™. 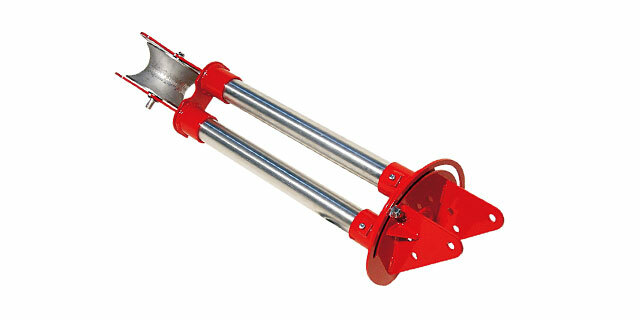 The unit has the ability to be rotated 90 degrees in either direction thus giving total flexibility inside a manhole to reach any location.